How did a brochure for a leading Seattle-based software company help me land a competitive contract writing for a performing arts complex in San Francisco? The copy spoke to people. 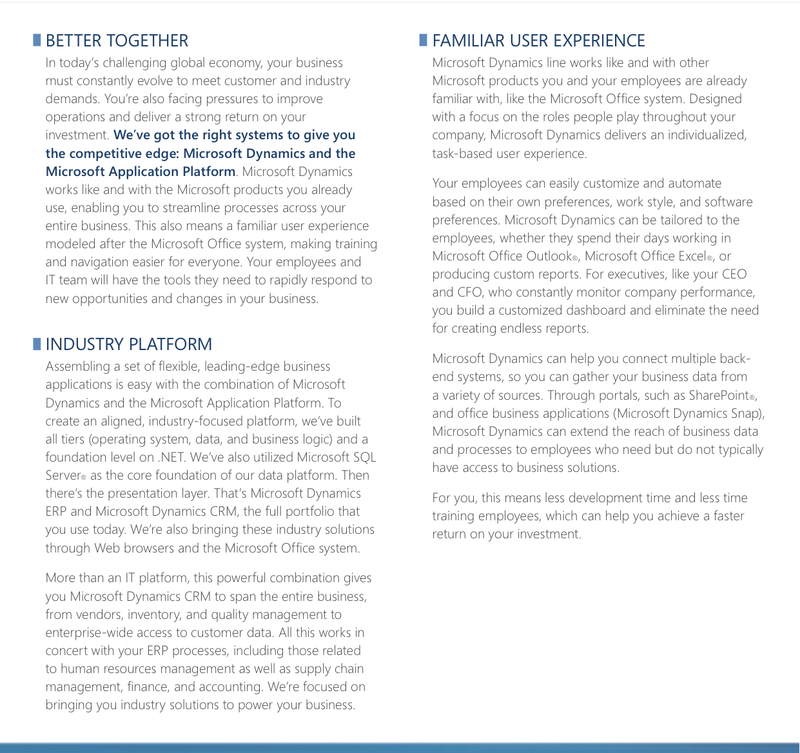 The pieces I wrote for Microsoft (which also includes demand gen) are examples of how I can balance the technical, creative and human. This a brochure excerpt. Please click on the image to see it full size. All rights reserved. Created with KMG. This entry was posted in Copywriting, Copywriting Portfolio, Digital, Technology and tagged brochure. Bookmark the permalink.